WELCOME TO ALLAN PALMER LABORATORIES. Learn how we got started. 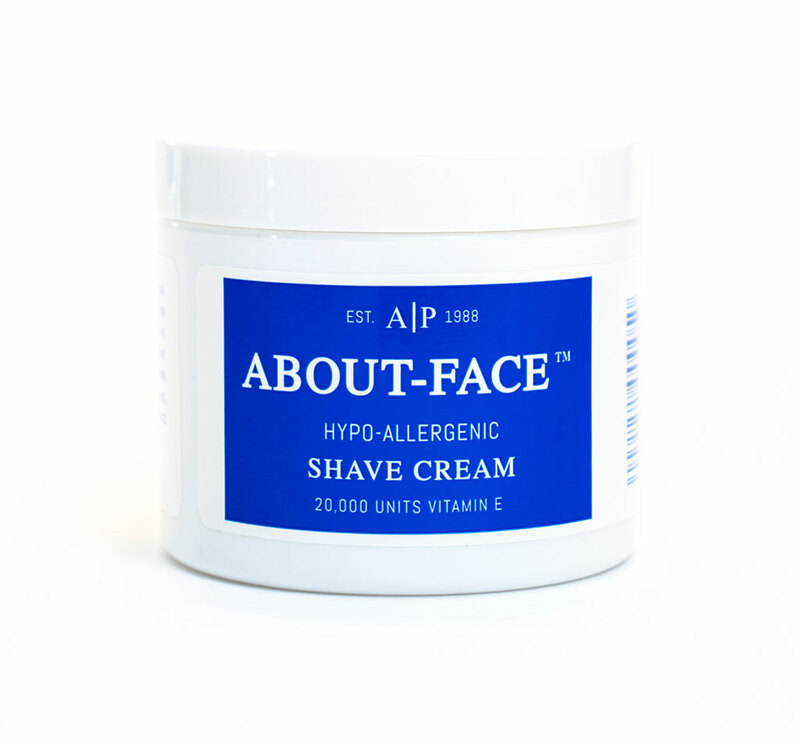 About-Face™ doesn’t lather like an aerosol, but goes on smoothly, letting your razor glide across your skin, helping you end all nicks, scrapes and razor burn. THE FOUNTAIN OF YOUTH IN A JAR. 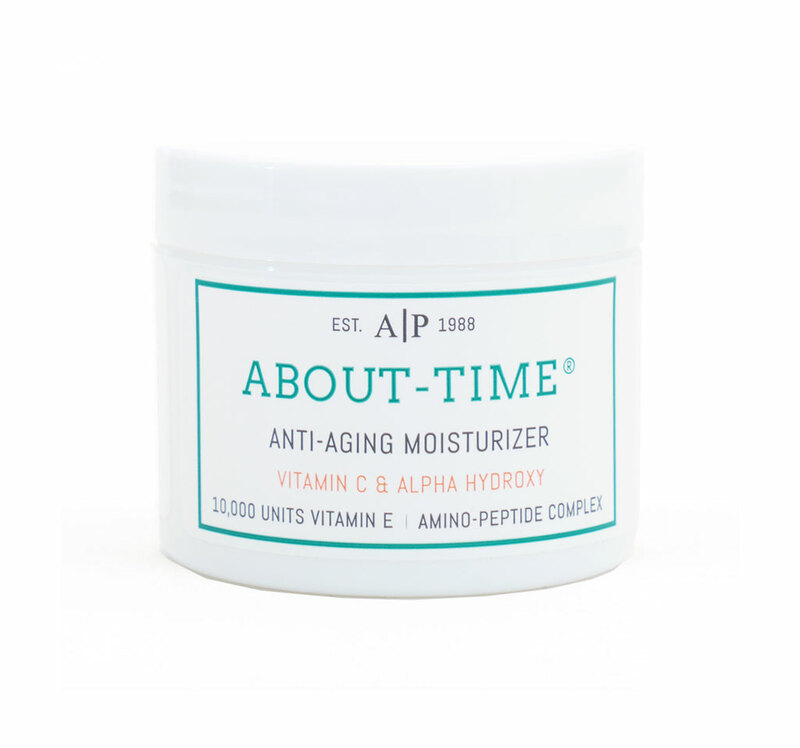 Used as a night or day cream and as an under makeup moisturizer, About-Time® can actually help eliminate wrinkles, fine lines, dark spots and other signs of aging. “I’ve used ABOUT-FACE™ for over 7 years. 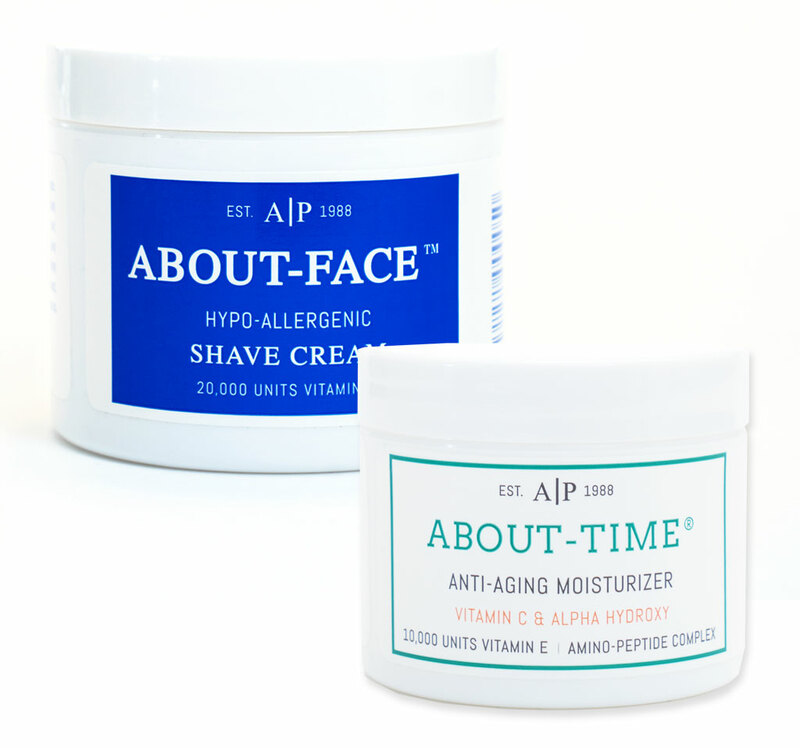 It’s the best shave cream on the market for a close, really smooth shave. It totally eliminates razor irritation.” . .